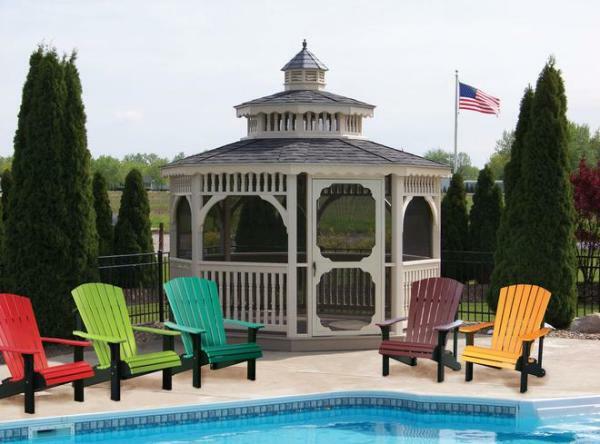 Enjoy the great out of doors with our high quality poly vinyl Chairs and Benches. 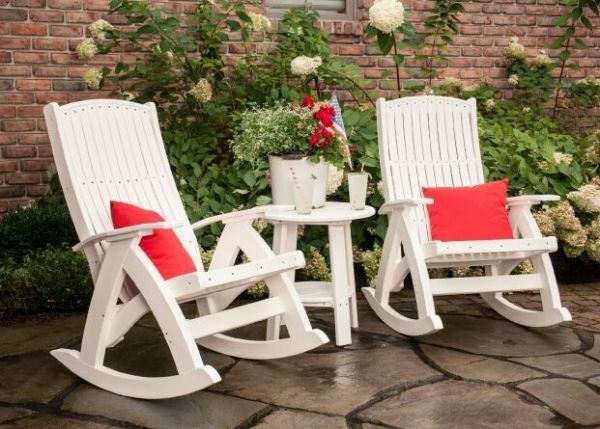 Add on to your existing poly furniture array or place a couple on your porch - you will be amazed at the comfort, durability and beauty. 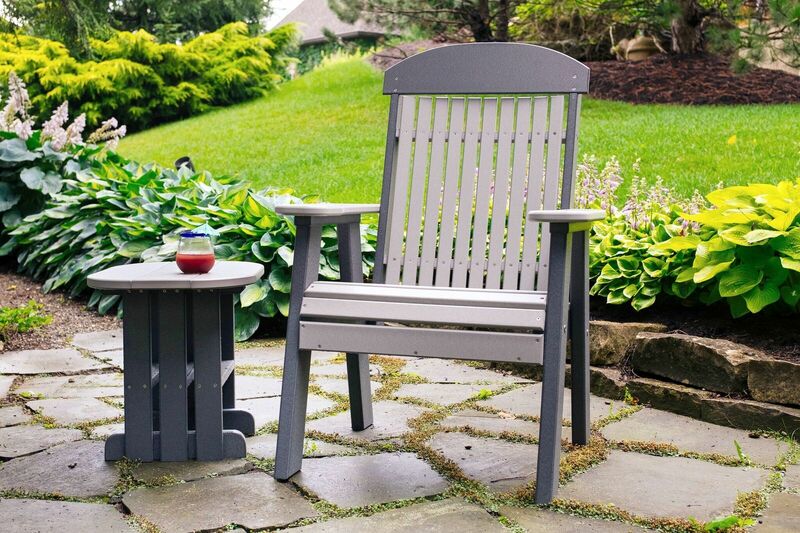 Try our Deluxe Adirondack Chairs on the deck or maybe a lovely rocker on the front porch! 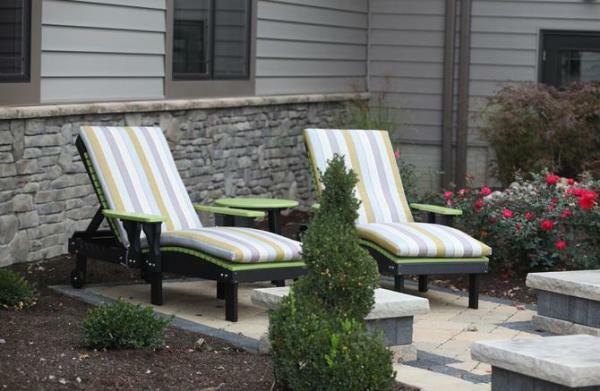 Add on a lounge chair by the pool or possibly a bench by the back door. Endless possibilities await, so let your imagination decide.